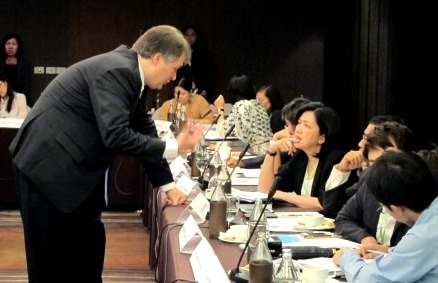 Purpose – Thai organizations are currently wrestling with the quality demands that are placed on them because of the approaching accession of Thailand into the ASEAN Economic Community. Thai managers are acutely aware that this will increase competitive pressures in their country, and are therefore looking for a technique which can help them create higher quality organizations and achieve sustainable high performance in the Thai context. This article aims to evaluate whether the high performance organization (HPO) framework can provide the necessary support. Design/methodology/approach – During two HPO workshops in Bangkok, one for representatives of eight Thai profit and governmental organizations and one for staff and students of a Thai university, participants were asked to complete the HPO questionnaire. From the resulting scores three main areas of improvement were identified for Thai organizations which they should address in order to become HPO. These areas of improvement were discussed during the HPO workshops with the explicit purpose of determining how they could be addressed in the Thai context. Findings – The research showed that Thai managers and employees understood the HPO questionnaire and were able to fill in this survey; the results of the HPO questionnaire yielded relevant areas of improvement for Thai organizations; and the HPO framework was seen as being a valuable technique for Thai organizations to improve in a sustainable way. Research limitations/implications – Further research should focus on testing the HPO framework in practice by implementing the recommendations in Thai organizations and then tracking the performance of these organizations in time. In addition, future research could look into the degree in which the characteristics of the HPO framework itself are suited to the Thai context, in comparison to other quality and performance improvement models and frameworks. 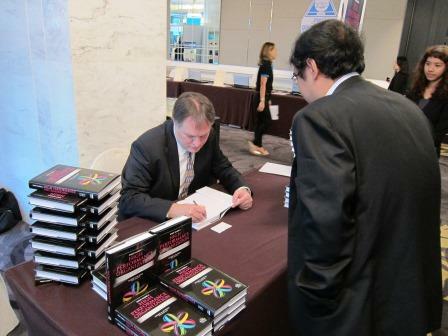 Originality/value – This is the first research into the suitability of an HPO framework in the specific Thai context. Thai organizations are currently wrestling with the quality demands that are placed on them because of the approaching accession of Thailand into the ASEAN Economic Community (AEC), which will officially take place in 2015. The goal of the AEC is to establish ASEAN as a single market and production base, making ASEAN member countries more dynamic and competitive with new mechanisms and measures to strengthen the implementation of economic initiatives; accelerating regional integration in certain priority sectors; facilitating movement of business persons, skilled labor and talents across countries; and strengthening the institutional mechanisms of ASEAN member countries. The key characteristics of the AEC are to create free flows of services, investments, capital and skilled labor. The ASEAN member countries – Brunei, Cambodia, Indonesia, Laos, Malaysia, Myanmar, the Philippines, Singapore, Thailand, Vietnam – have prepared Mutual Recognition Arrangements (MRAs) which specify the basic qualifications for seven groups of professionals (engineering services, architectural services, surveying qualifications, medical practitioners, dental practitioners, nursing services, accountancy services) to work freely in member countries. In order to deal with the advantages and disadvantages these free flows create, Thailand has to increase the competitiveness of its businesses and strengthen its governmental sector. Thai managers are acutely aware of this as a recent study into the trends in strategies of Thai organizations showed a clear need for concepts, methods and techniques (Wattanasupachoke, 2012). Thai managers state these need to help them create higher quality organizations and achieve sustainable high performance (Choonhaklai and Singsuriya, 2008). In this respect it is unfortunate that there seems to be a shortage of studies into high performance in Thai organizations. An overview of 290 studies into high performance and excellence conducted in the period 1960 until 2007 (de Waal, 2006, rev. 2010, 2012a) revealed that in 19 of these studies (6.6 percent) Asian organizations were involved. In three of those 19 studies Thai organizations were included (Deshpande´ et al., 2004; Chakrabarti et al., 2007; Gostick and Elton, 2007), however there was not a single study which looked exclusively at Thai organizations. A subsequent search of the academic databases – such as EBESCO, Science Direct and Emerald – into recent literature did not yield comprehensive high performance organization (HPO) studies, mostly the studies found were into facets of high performance in the Thai context. Numprasertchaia and Igel (2005) looked into the factors that increase knowledge creation and exchange at three research units of Thai universities, and found that collaboration between these units provided access to a greater breadth and depth of research knowledge than pure in-house development. Limsila and Ogunlana (2008) examined how project managers’ leadership styles and subordinates’ organizational commitment correlated with leadership outcomes and work performance of subordinates on Thai construction projects, and found that the transformational leadership style had a positive association with work performance. Ooncharoen and Ussahawanitchakit (2008) examined the relationships between five dimensions of service culture (high-quality service, open and honest communication, service responsiveness, service failure prevention, and service recovery) and the performance of Thai hotels, and identified several significant relationships. In addition they found that organizational support, technology orientation and employee competency had a significant effect on the five dimensions of service culture. Kantabutra (2011) investigated whether the Rhineland leadership model could be applied at a Thai healthcare organization in order to increase corporate sustainability, and concluded that Avery’s 19 Rhineland practices provided a useful framework for evaluating the corporate sustainability of this Thai enterprise. Pongpearchan and Ussahawanitchakit (2011) found partial significant relationships between Thai SMEs’ visions for sustainable growth and competitive learning capability, market culture implementation, strategic entrepreneurship management competency, business practice effectiveness, value creation excellence, operational innovation efficiency, strategic advantage, corporate profitability, firm success via government support, and outstanding business experiences. Yasamorn and Ussahawanitchakit (2011) found partial significant relationships between the influence of strategic collaborative capability and valuable knowledge competency, outstanding innovation creativity, unique entrepreneurship excellence, business growth, organizational sustainability, visions for inter-firm operations, inter-coordination experience, globalization enhancement, and technological availability in Thai tourism businesses. Intarapanich and Ussahawanitchakit (2011) found partial significant impacts of dynamic technology capability on organizational stability through mediating influences in Thai IT firms of business knowledge creativity, corporate improvement integration, operational development excellence, and technology diffusion orientation, competitive dynamism, and business turbulence. Nunta et al. (2012) investigated the effects of service innovation strategies on spa business performance in Thailand and the moderating effect of modern leadership competency and business environment are moderators, and found that three dimensions of service innovation strategy (creative service idea, attitude toward change,generative learning) affected business performance positively. The apparent lack of academic articles on HPO in Thailand does not mean there have not been initiatives in this field in Thai organizations. In fact, the concept of HPO was introduced in Thailand – through the Thailand Quality Award (TQA) – as an organizational development concept. The TQA, based on the Malcolm Baldridge National Quality Award, has been awarded since 2002 to outstanding Thai organizations (Federal of Thailand Performance Improvement, 2010). Its criteria have now been adopted by many sectors in Thailand, such as the Hospital Accreditation (HA), the Public Sector Management Quality (PMQA), the State Enterprise of Performance Appraisal (SEPA), and the Thailand Qualification Framework for Higher Education (TQF). In Thai’s public sector the first Royal Decree on Criteria and Procedures for Good Governance was introduced in 2003, with as main goal to introduce HPO thinking in Thai public sector organizations (Decharin, 2006). 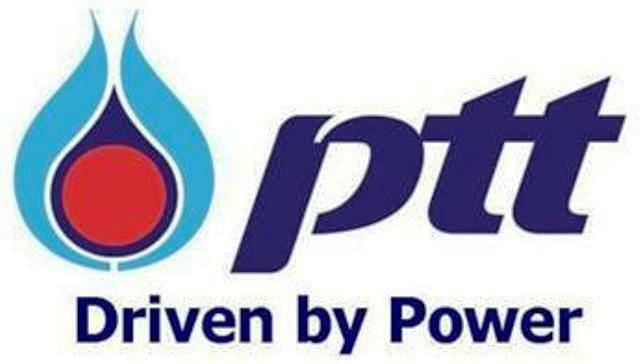 In the private sectors, the Petroleum Authority of Thailand Public Company Ltd. (PTT) announced in 2005 as first Thai profit company the vision of becoming an HPO. The company has been working on achieving this vision, by using concepts and techniques as information technology, innovation, knowledge management, leadership and operational agility and excellence. Is the HPO framework suitable for Thai organizations? Click on this link for the complete case (Is the high performance organization framework suitable for Thai organizations? ), published in ‘Measuring Business Excellence’!